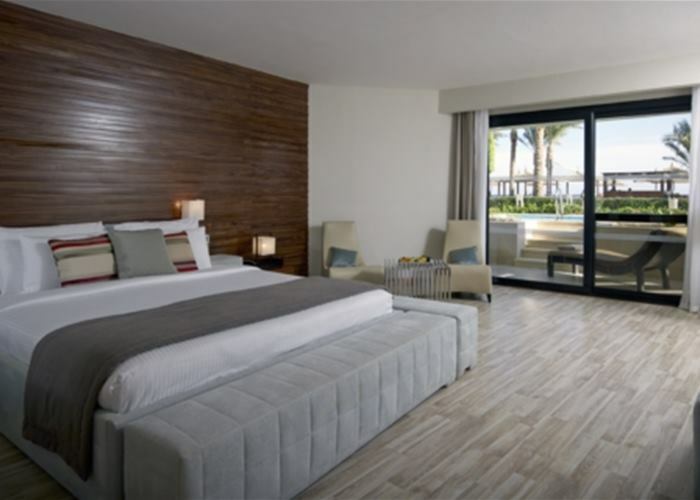 Coral Sea Imperial Resort pulls out all the stops when it comes to making an impression. There's top class facilities with a matching service and when it comes to food, you're in excellent hands, with a choice of 6 restaurants. The beautiful coral of the red sea is right on the doorstep with a stretch of inviting sand overlooking the stunning Nosrani Bay. The hotel is ideal for couples above the age of 16 years old. 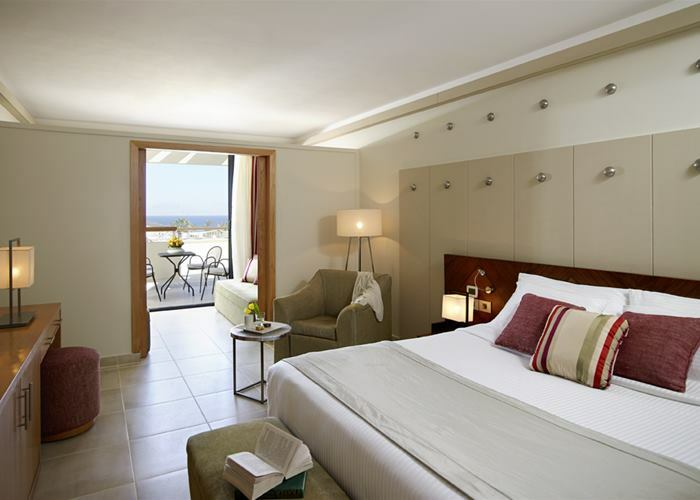 These elegant rooms are well designed for maximum comfort with a king sized bed or twin beds and terrace or balcony. A jacuzzi bath tub with added mood lighting makes every bath time last that little bit longer. Sleeping up to 3 people the room is complete with mini fridge, LCD TV and air conditioning. 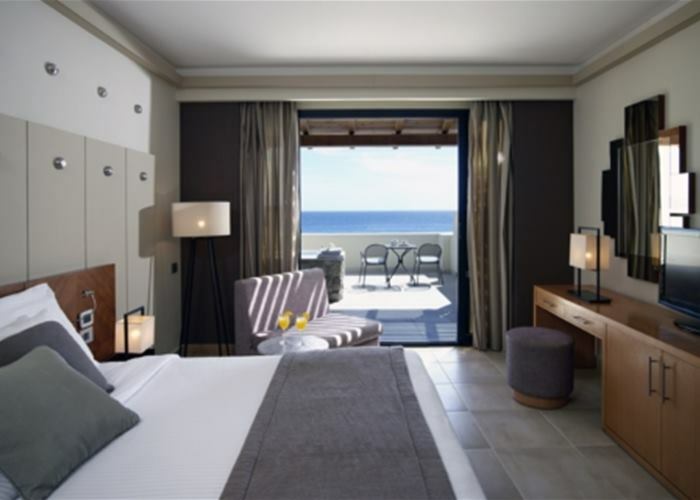 These elegant rooms are well designed for maximum comfort with a king sized bed or twin beds and terrace or balcony looking out on to the sea. A jacuzzi bath tub with added mood lighting makes every bath time last that little bit longer. Sleeping up to 3 people the room is complete with mini fridge, LCD TV and air conditioning. 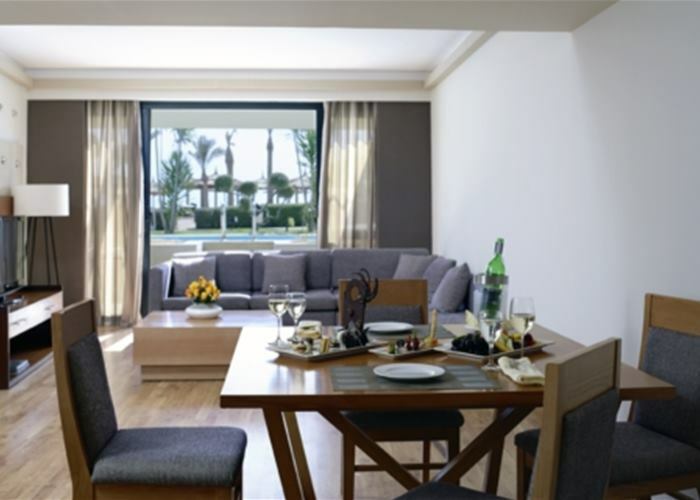 There's a real sense of class in these rooms with plenty of light and the added bonus of a swimming pool right up to your terrace that's complete with sun lounger and table with chairs. They are located in the adults zone and sleep up to 2 people with a king size bed, jacuzzi bath tub with mood lighting, mini fridge, LCD TV and air conditioning. 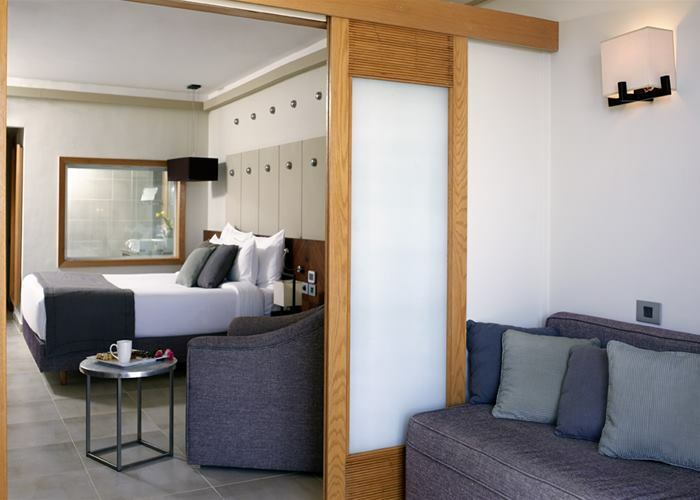 These elegant rooms are well designed for maximum comfort with a king sized bed or twin beds and a terrace or balcony with your own jacuzzi tub to soak and enjoy the pool or sea view. Sleeping up to 3 people the room is complete with mini fridge, LCD TV and air conditioning. You could call this home from home with a luxurious finish to the decor. 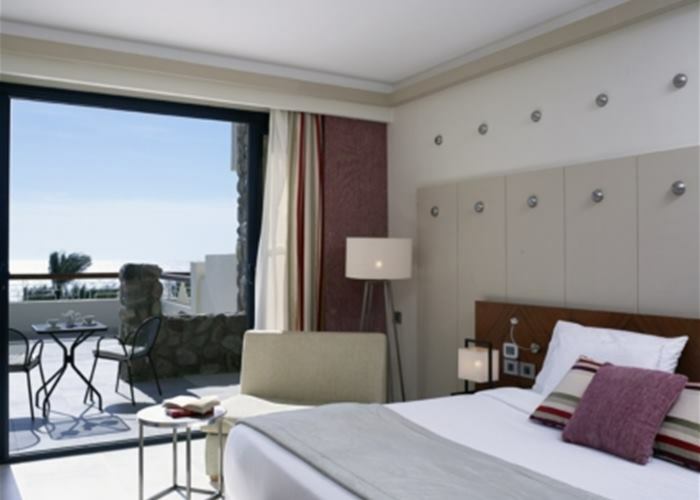 The suites either have a balcony or terrace and comfortably sleep up to 5 people. There's a king bed in the master bedroom and a spacious living room equipped with large sofa beds and a Wii games console. You'll find other essentials like jacuzzi bath tub with mood lighting, mini fridge, LCD TV and air conditioning. There's plenty of space for the whole family in these rooms with a calming but elegant decor. The sleeping areas are separated by a partition that can be closed for privacy. On the one side there is a king size bed and two large sofa beds on the other. The rooms sleeps up to 4 with a maximum of 3 adults and comes complete with jacuzzi bath tub with mood lighting, mini fridge, LCD TV and air conditioning. A balcony or terrace will connect to the room with a view over the pool. There's nothing like dipping your toes first thing in the morning so the pool has been brought right up to your terrace. You can fit 4 people in this room and we've added a sliding partition that can be closed for privacy with a king size bed on one side and two large sofa beds on the other. 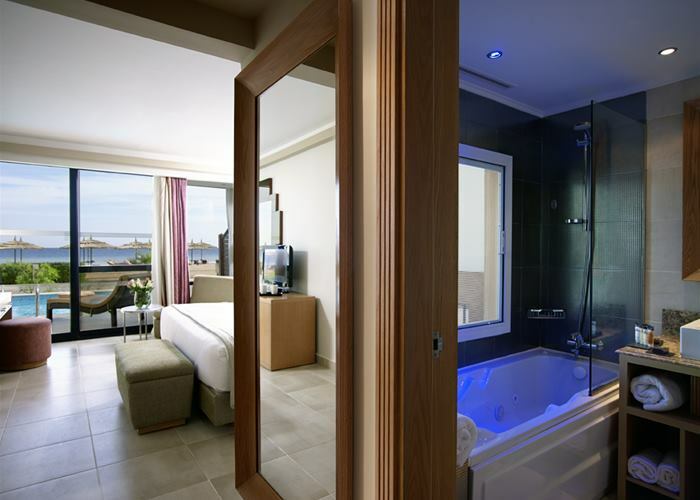 You'll find all the essentials like jacuzzi bath tub with mood lighting, mini fridge, LCD TV and air conditioning. 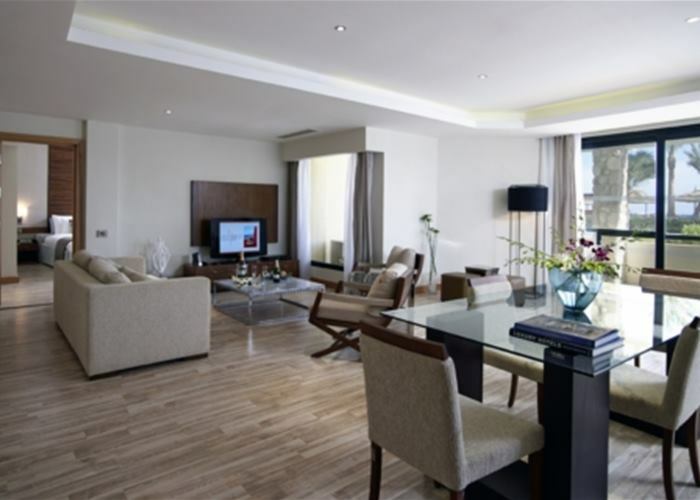 These are larger than the usual family rooms giving you the extra space and privacy when needed and come with either a balcony or terrace with a pool or sea view. The sleeping areas are separated by a partition that can be closed for privacy. On the one side there is a king size bed and two large sofa beds on the other. 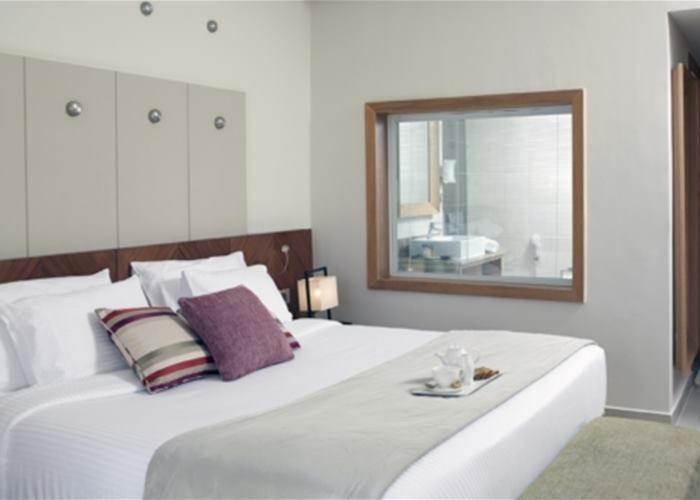 The rooms sleeps up to 4 with a maximum of 3 adults and comes complete with a Wii games console, jacuzzi bath tub with mood lighting, mini fridge, LCD TV and air conditioning. This room type heads up our collection with a stylish yet elegant decor. 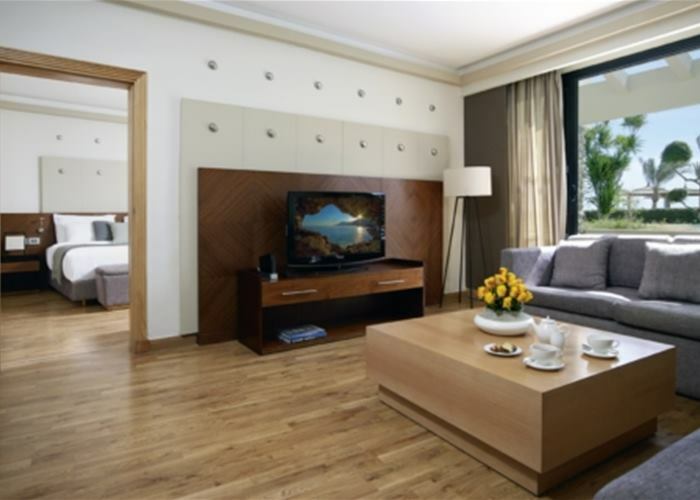 Space has not been questioned in these large suites that easily sleep up to 5. The master bedroom has a king size bed with a bathroom complete with a jacuzzi bath tub with mood lighting. The large living room has a dining area, WC and kitchenette that easily doubles up in to a second sleeping space with the large and comfortable sofa beds. There's a Wii games console for your own enjoyment and other essentials like mini fridge, LCD TV and air conditioning.